The advent of convenient on-demand streaming services has dramatically altered the way we watch video content and pose a genuine threat to the traditional TV model. Hit shows like The Walking Dead are accessible within seconds and individual episodes or an entire series can be watched when it suits you instead of relying on programming schedules. According to the latest statistics from the Parks Associates report, 10% of homes in the US now own a media player with streaming capabilities. This report also outlines the market share of the most popular players, where Roku retains the top spot with 29%. Google’s Chromecast device surges up the ranks with a 19% share and overtakes the Apple TV which managed to accumulate 17%. Amazon is still a fairly new entrant in this field but the 10% share seems like a promising figure. As you can see from the chart below, Apple's position has weakened and competition from affordable USB streamers has made a significant impact. 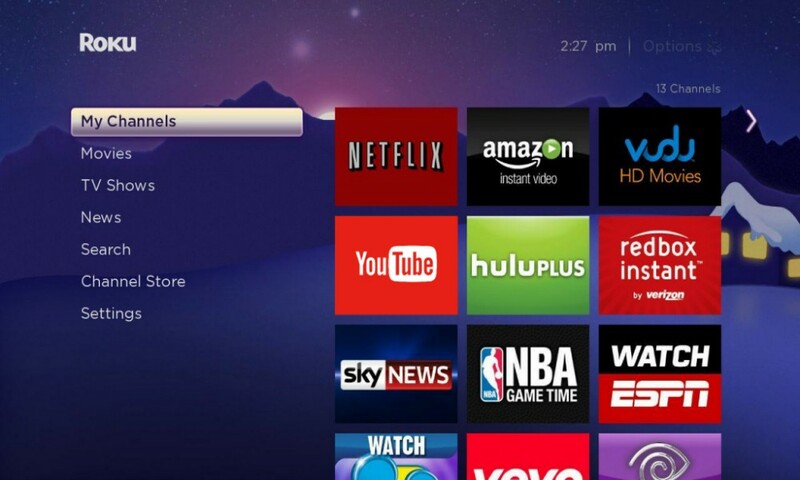 So why is the Roku range so popular? Back in September we reported that the company had sold over 10 million units in the US and its sales were growing rapidly. The main reason is flexibility and the comprehensive range of channels available on that platform. In the US, you can access more than a staggering 1800 channels including Netflix, Amazon Instant Video and PBS to name a select few. The UK line-up is smaller but still easily surpasses the competition with over 1000 unique channels at the touch of a button.